My dear friend had a stroke last week. I was shocked and concerned and felt helpless to do anything to help. He is one of the most positive people I know, has never ever said NO to me, when I have asked him to be in a play for little to no money, and gives the best shoulder rubs to bring down tension before a show, not to mention he is a superb dance partner. When I called him, is was expecting to just leave a “good wishes” message on his voicemail, but was delighted to hear his voice, perhaps a little slower and with more effort than his usual rapid, energetic tone, but full of fun and bursting with ideas to write a play, perhaps a musical, about his experiences. Just a great guy and I wanted to do something to help speed his recovery. He is a HUGE chocolate lover – like all the best people – so, on a whim, I punched in chocolate stroke recovery to my handy “Interweb Search Engine”. Imagine my surprise to discover that, according to a couple of recent studies, chocolate happens to be both a preventative and a potential aid to recovery in strokes, especially for men. In a study by Susanna C. Larsson PhD of the Karolinska Institute in Sweden, published in the journal, Neurology, Dr. Larsson found that men who ate a weekly average of 63 grams of chocolate had a 17% lower risk of stroke compared with men who ate none. 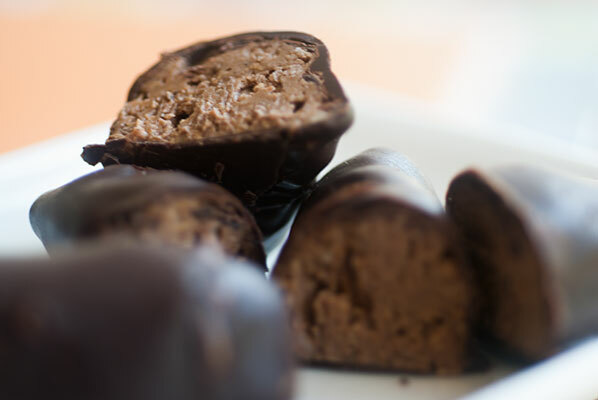 The beneficial effects of chocolate could be due to its chemicals, called flavonoids. In particular, there are types known as epicatechins, catechins (also found in tea) and procyanidins (also found in foods such as grapes, wine, blackberries and apples). Catherine Collins, principal dietician at St George’s hospital in London said: “Cocoa flavonoids can reduce blood stickiness to prevent clot formation. They can also help the arteries to manage changes in blood pressure, by helping dilate arteries to accommodate blood flow better.” Flavonoids also seem to decrease concentrations of bad cholesterol in the blood and reduce blood pressure. Although my friend has already suffered a stroke, I think this is helpful information for the future. Three weeks before his stroke he had checked his blood pressure at one of those machines in a local pharmacy where it registered quite high. In hindsight, a real warning sign and I know this is something he will be working to reduce in future. If chocolate can play a part in that, so much the better. Further studies would be required to confirm her findings before any recommendations about chocolate consumption could be given to people. “Because chocolate is high in sugar, saturated fat and calories, it should be consumed in moderation,” she wrote. Another, slightly earlier study using mice (sigh – the part I don’t like) showed that epicatechin (a substance naturally occurring in dark chocolate) given in a modest dose up to 3 ½ hours after a stroke occurs can prove beneficial in mitigating the damage done to the brain’s neural pathways. I was going to make him something chocolate anyway, but now I can say it is for medicinal reasons. To compound the health benefits (in for a penny, in for a pound), I am making dark chocolate blackberry port truffles, since blackberries (and especially the skins, which is what flavours the port) contain those helpful procyanadins mentioned in Dr. Larsson’s recent study. 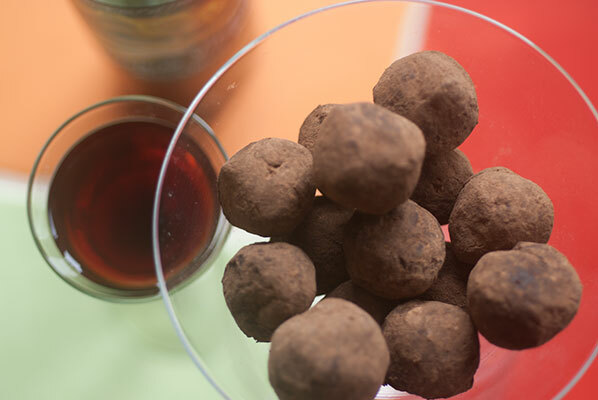 My favorite recipe for blackberry port truffles is this one, courtesy of that master of all things dessert, David Lebovitz, through the My Kitchen in the Rockies blog. I use three tablespoons of Saltspring Vineyards blackberry port, to replace the tawny called for in the recipe, and enrobe most of the truffles in tempered dark chocolate (the recipe calls for melted, but doesn’t mention tempering), leaving off the cocoa for all but a few, as I like the outside shell to snap, in contrast to the ultra-smooth interior. Also, I have spent so much time learning to properly temper and enrobe, I put those skills to use as often as I can. 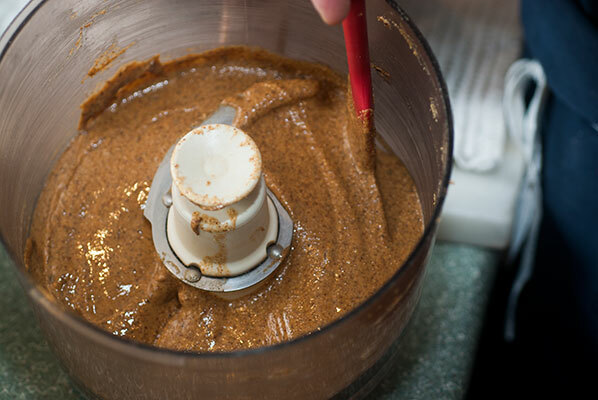 As a companion piece, (and because it is a favorite of mine) I make a batch of gianduja, that fabulous creamy mixture of milk chocolate and wholesome hazelnuts. 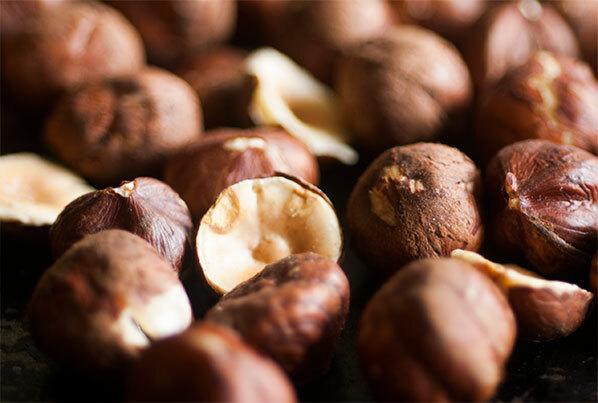 Hazelnuts are good for the heart, full of oleic acid, an unsaturated fat shown to lower LDL (the undesirable) cholesterol and raise the HDL (desirable) cholesterol. Hazelnuts are also rich in vitamin B6. Vitamin B6 is necessary for the creation of myelin which is the insulating sheath around the nerve that increases the speed and efficiency of electrical impulses, allowing the nervous system to operate efficiently. 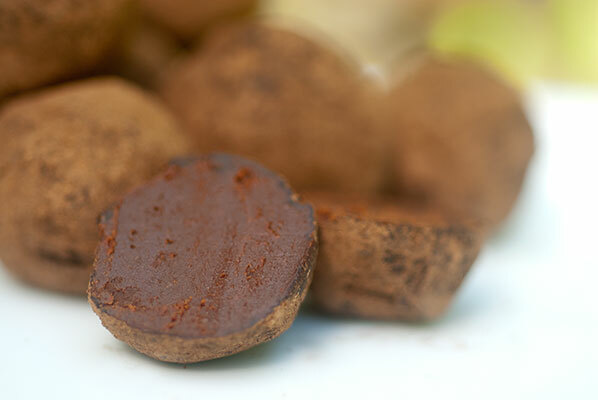 And for good crunchy texture and because I like it, I throw a small amount of toasted coconut into the gianduja. There is nothing like making something for a friend to put me in a good mood while I am in the kitchen. Under normal circumstances, I just enjoy seeing the happiness it brings to people when you walk into a room with homemade chocolate goodies.